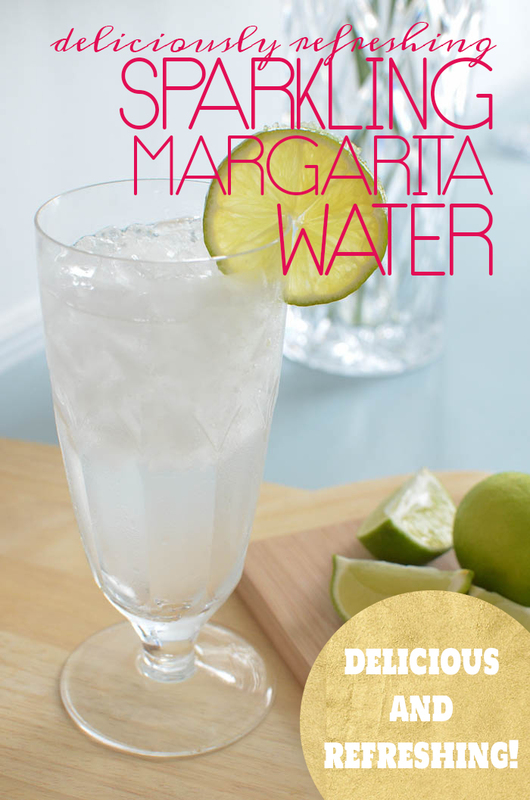 I’ve had a few Margaritas in my day… in fact, it’s probably my most favorite cocktail on the planet. But these days, cocktails and I don’t agree. Well, we agree that we aren’t friends, so I guess there’s that. I’ve slowly come to terms with it… almost. But that doesn’t mean I can’t enjoy a pretend one. No sireee. 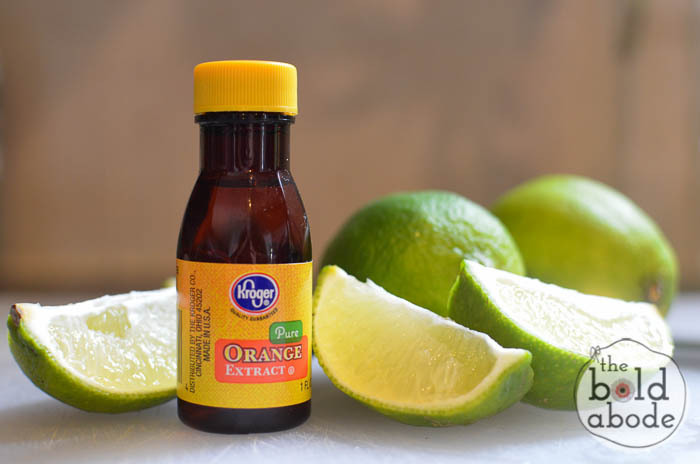 You’ll need some lime and some orange extract. You can use an orange slice, but I had this on hand, yo. 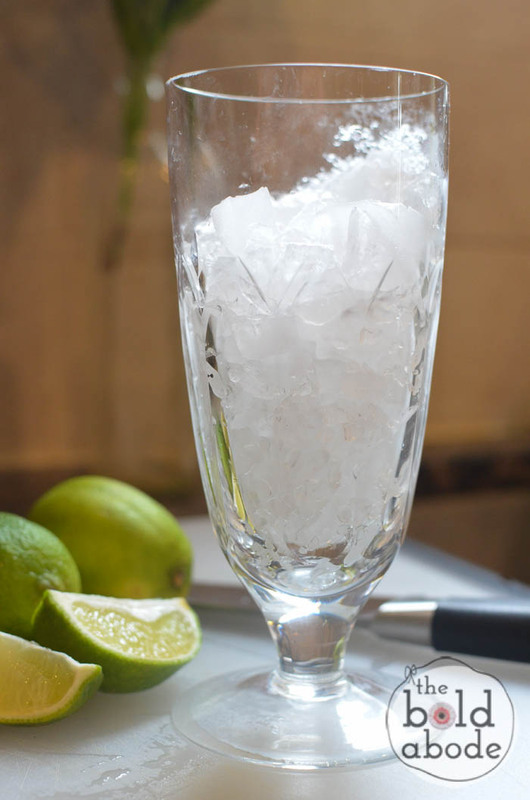 Fill a glass with ice… crushed if you have it. Because let’s face it. Crushed ice is the diggity-bom. 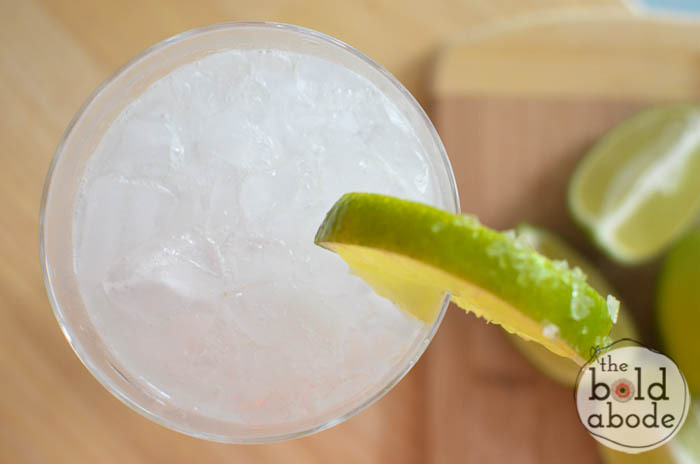 Squeeze a quarter of a lime into the ice. Add a few drops of orange extract. 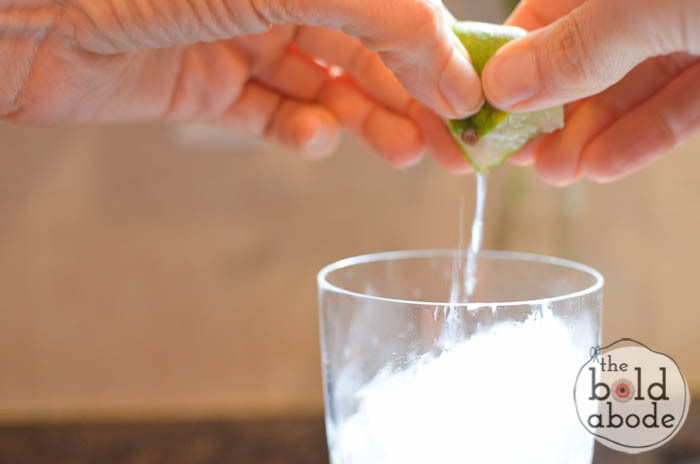 Then pour your sparkling water into your glass. LOVE those little fuzzy bubbles. 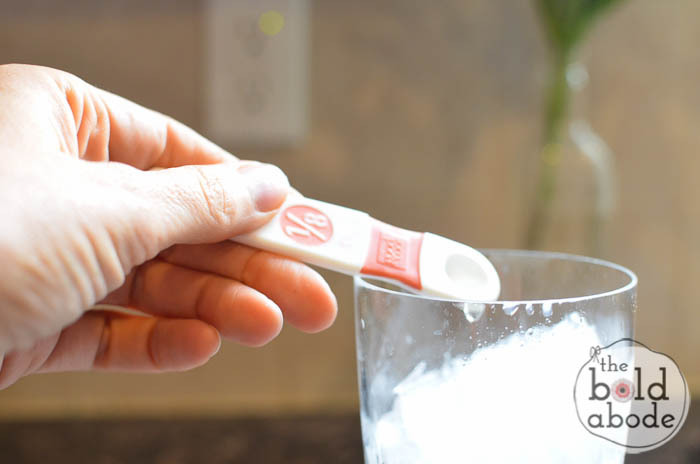 Here’s the kicker though… Add just a pinch of Sea Salt. It’s the awesome-train, y’all! It may not be the authentic, adult version, but it’s mighty fine.